When working in the food industry, the first imperative is: safety. Safety means cleanliness, hygiene, attention to the smallest details. A significant help comes from the right tools, which must be constructed in order to ensure compliance with all the requirements. The wrapping machines for the food industry, for example, should always be made in stainless steel. Stainless steel, due to its structure, absorbs less dirt than other materials. Furthermore, it is easier to clean and does not retain particles of detergents or chemicals. The minipack®-torre food wrapping machines are also made in stainless steel and, in certain cases, coated in Steel IT. Stainless steel is composed of iron, carbon and some free chromium particles; it is precisely chromium that grants antioxidant power to steel: chromium self-passivation occurs easily in the presence of moist air or fresh water, i.e. it is covered with a layer of oxides that shields the underlying metal. As a consequence the steel core does not corrode, remains dense, not very porous and prevents bacterial loads from proliferating. With Steel IT coating, instead, a protective coating is added to the sheet metal: thanks to the chromium particles incorporated in the structure, Steel IT is much more resistant than the classic paint and makes the metal stronger against rust. Synthesis Inox is a heat shrink wrap machine with chamber and manual, ideal for packaging all types of food, including pizza, bread or sweets. It is easy to use and extremely hygienic, not to mention the fact that the absence of motor, fans or felt on the bottom of the chamber make it even easier to clean. Pratika 56 MPE Reverse Inox is an automatic food wrapping machine. It is designed to be placed in food processing laboratories, thanks to the construction material and the convenience that characterises it. It is quick, efficient and allows both labour costs and packing times to be reduced. Modular 50 Steel IT is an angular semi-automatic machine. Main advantages: flexibility and high packaging aesthetics. 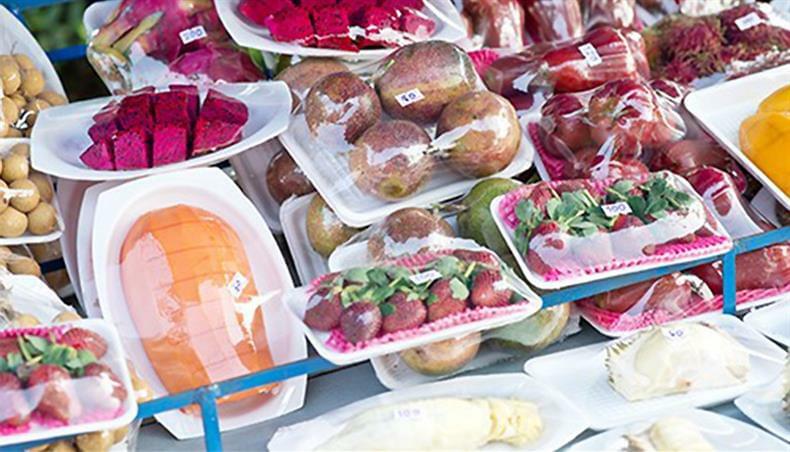 The steel IT coating assures a significant resistance even in environments with high humidity or where water is frequently used, therefore it is perfect for companies that pack foodstuff products. Media Steel IT is the most compact one in the series. Semi-automatic, single-unit, it is the ideal wrapping machine for large companies: the integrated shrink tunnel sets it apart from all other heat shrink wrap machines, making it even more versatile. Are you in need of a food wrapping machine? Contact us with no obligation for any information or to request an estimate.